Fruits are very good for our health as it contains various vitamins and minerals. 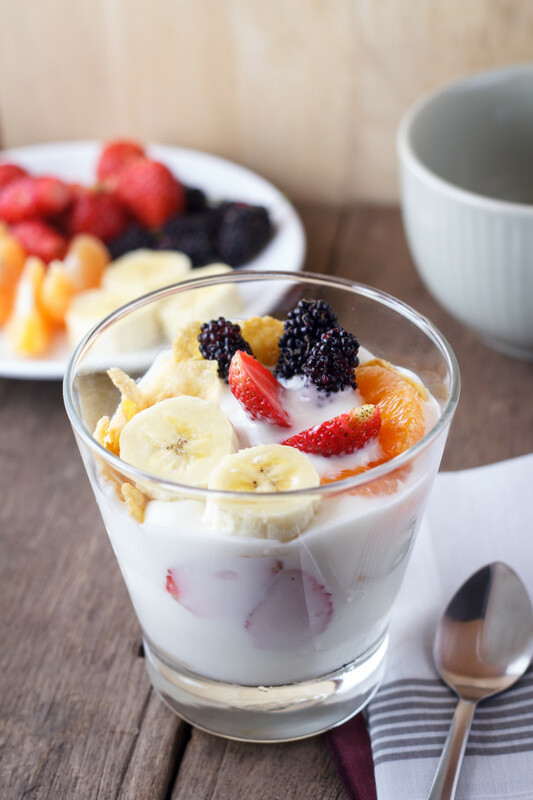 Yogurt are rich in minerals like calcium, phosphorous, potassium, zinc and also rich in protein. If we take yogurt in our daily diet then, it is helpful for healthy digestion, radiant and healthy skin, stronger bones and teeth, helps to loose weight, improves immunity, prevents premature wrinkles, removes dark spots, removes dandruff etc. There are various health benefits of yogurt. The combination of fruits and yogurt is very delicious and helpful in various problems. So, here I'm going to share a salad recipe which is made with different fruits and yogurt which is very delicious and healthy for our health. Take a large bowl and pour the yogurt and sugar into it and whip for sometimes. Add all the fruits into it and mix well. Now, it's ready to serve.